1. 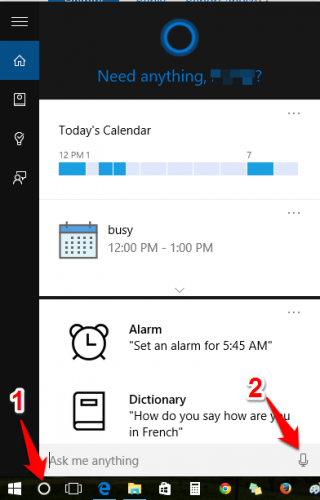 The simplest way to set a reminder in Windows 10 is by talking to your computer. 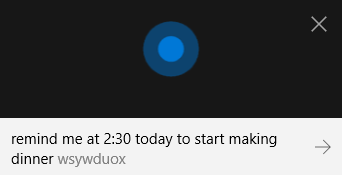 If you have “Hey, Cortana” set up, you can use that. 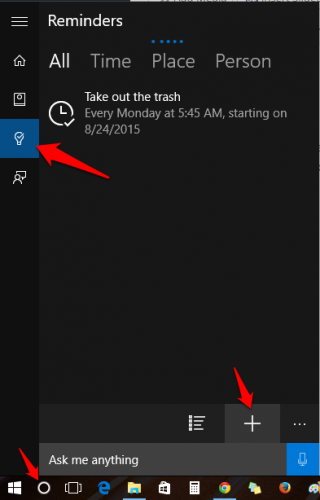 If not, press the Cortana icon, and then click on the microphone icon. 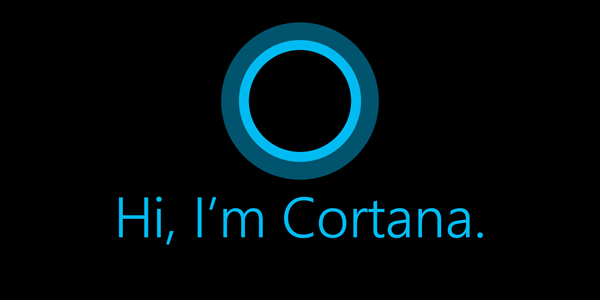 If you perfer to use a keyboard shortcut, pressing Windows+C will get Cortana’s attention. 3. 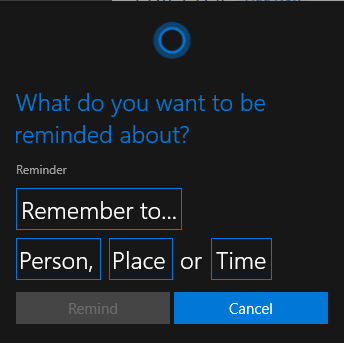 Cortana will then pull up a screen where you can edit your reminder before setting it. To set the reminder, say “yes,” or click on the Remind button. 4. To make your reminder repeat, click on the fourth box that by default is labeled “only once.” Here, you can choose to have your reminder go off every day or on a certain day of the week. Examples of this would be a daily reminder to feed your dog or a reminder to submit your time card every Friday. Unfortunately, monthly reminders are not yet a feature. 5. 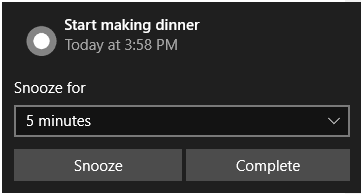 Are you trying to set a secret reminder about the surprise party for the person sitting next to you, or are you just not into talking to your computer? 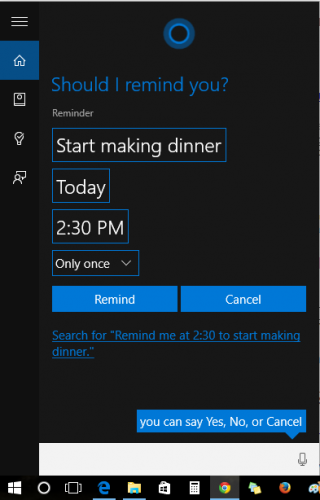 You can set reminders without talking to Cortana. Launch Cortana. (Again, you do that by clicking the circle next to the start button or by pressing windows+C.) Then click on the reminders section. Click the + symbol to type in a new reminder. 6. When the reminder goes off, a small box will appear above your Action Center in the bottom right of your screen. You can choose to snooze the reminder for up to a day or mark it as complete to make it go away.